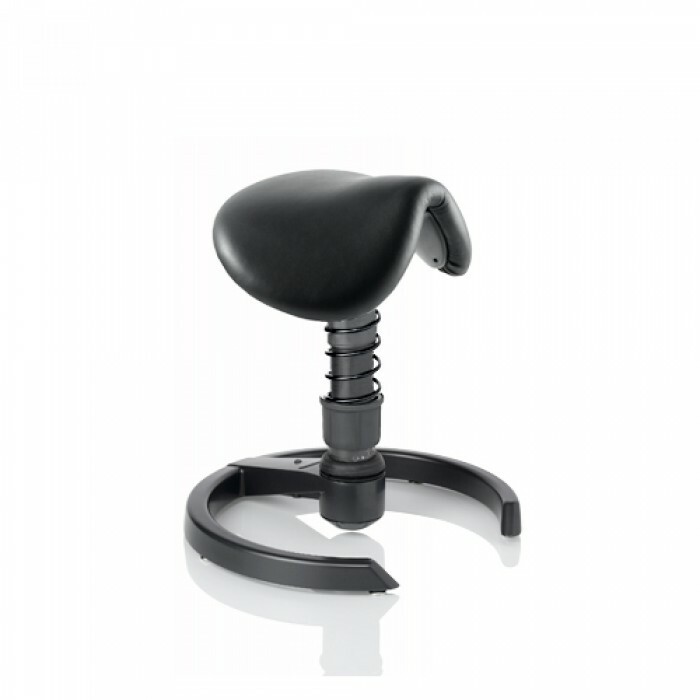 A special ergonomic saddle-shaped seat in combination with the 3D movement of the swopper makes a great partnership. A person sitting on a saddle seat automatically assumes the position that produces the least stress for muscles, ligaments and joints, and so relieving stress on the lumbar discs and spine because the pelvis is properly positioned and stabilised. The pelvis is central and critical to correct spinal position because of the way it is attached to the spine by muscles and ligaments. Its position actually controls the curvature of the spine, and this, in turn, is pivotal to how much stress is induced on the spine when someone is seated. Available with or without rollers. 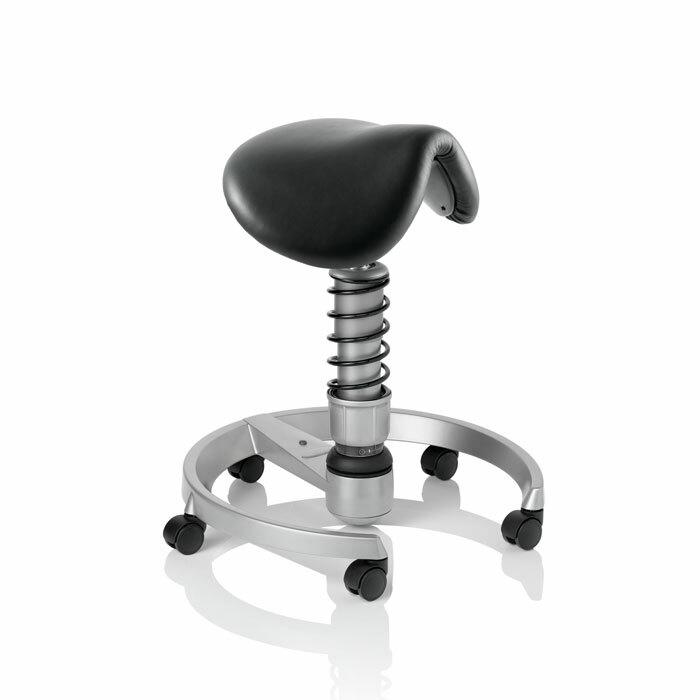 Ideal as working stool for dentists, hair dressers, masseurs , surgeons and occupational therapists to name just a few. And, of course, for all those who just have fun sitting on a real saddle seat. How the swopper Revolutionised Sitting ! Designed and developed in Germany by husband and wife team Joseph (an engineer) and Dorle (a world famous physio) Gloeckl, the swopper was designed to help people relieve their back and spinal problems, and overcome the challenges our bodies face with static sitting. It is the only seat in the world that can adapt to all three dimensions of human movement. This means that the swopper moves forward, backward, sideways, all the way around, as well as up and down! You can also adjust the tension and movement of the spring, and change the lateral movement, so it can become more or less stable. This movement, sometimes called "active sitting" or "sitting in motion" has been shown to be the basis for many beneficial health effects. A person no longer needs to lean forward towards the table and flex their spine to work, as the swopper's flexible centre spring will bend forward, so there is no one-sided pressure on your intervertebral discs. Endorsed by ergonomists and architects alike, it’s certainly one of a kind! The swopper is simply in a class of its own. The sleek, contemporary design and compact structure makes the swopper a perfect fit in any commercial or home environment. The swopper has revolutionized sitting, and has quickly become a huge success around the world. Sitting and burning calories at the same time? The swopper FIT app shows you how to do it. Download it now, track your activity and try its training session, calorie calculator and pedometer. The swopper is endorsed worldwide by architects, designers, ergonomists and health professionals alike, and the manufacturer aeris holds several worldwide patents. The Healthiest way to sit! "The musculoskeletal or locomotor system is the treated as a poor relation nowadays. We are built for movement and yet we have to sit the whole time. That is not really how it was planned. An intervertebral disc that you load and relieve, load and relieve - as is the case when you run - is only compressed and compressed and compressed when you constantly sit. If you have to sit, then you should sit actively, not passively. Normally we have an executive chair with a backrest up to the ceiling. We are seated. That is harmful, because the muscles of the spine atrophy. 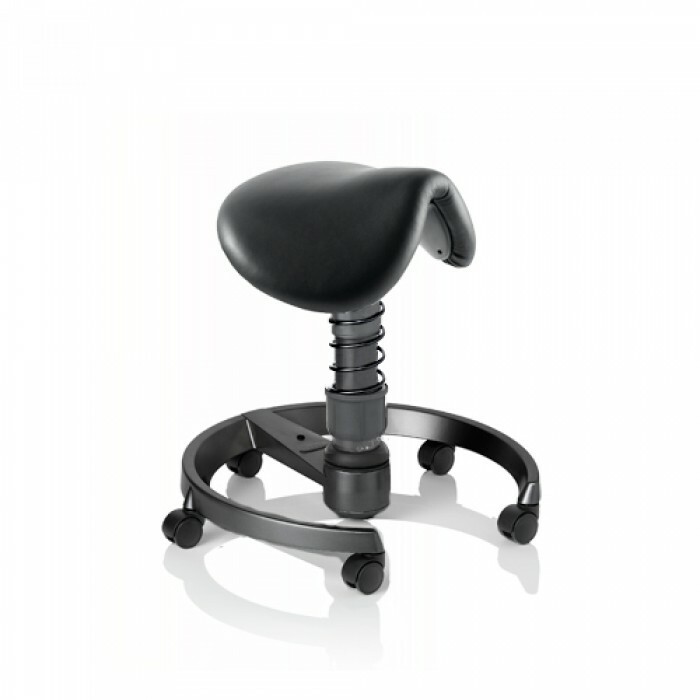 The swopper office seat, for example, forces you to sit actively. You are continuously exercising your back, regardless of what you are doing - reaching for the mouse, keyboard or file - you have to keep your back muscles active all the time. You do not even notice it while working. All in all, that is the healthiest way to sit." "The results of the study show the positive effects of the swopper very distinctly. The results are particularly remarkable considering that apart from the swopper no therapy, no medication, no operations, no massage, no gymnastics etc. were applied to remedy back complaints!" "The swopper follows each movement of the body and at the same time encourages it to change its position. The active-dynamic sitting on the swopper activates in particular the vestibular-kinaesthetic (balance and movement) functions, whereby our proprioceptors are exercised in a complex manner. (...) This improves the underlying basis for attentive, concentrated working." Damage is done by adopting relieving postures! "Many acute and chronic back problems are due to lack of movement. A very good way of preventing this is to integrate movement into everyday life, especially everyday life in the office. 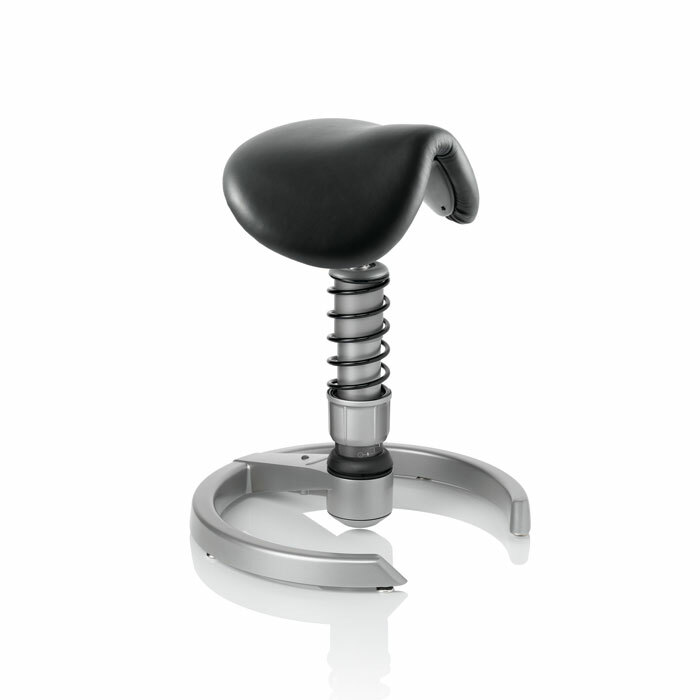 The swopper provides a unique combination of sitting and moving. That is why i use it in my practice." The fat executive chair is out! "The fat leather executive chair is indeed out - you cannot work in it. The swopper is perfectly designed from the physiological, medical and practical training points of view. It is good that it is adjustable in different ways so that each person can apply their own requirements profile for dynamic sitting."